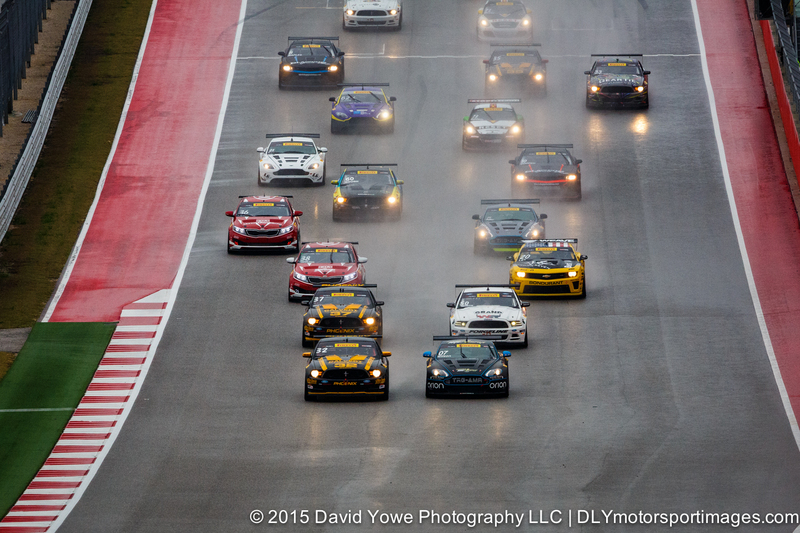 Round 2 of the GTS class started mid-morning on a wet track and under overcast conditions. These weather conditions would be a sign to come for the races later in the day. Hope you like the photos. 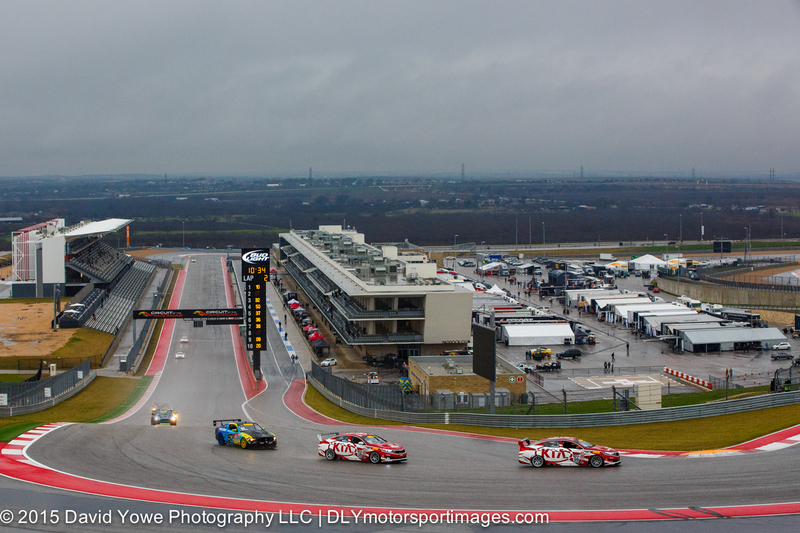 The race was started with a two-wide rolling start in place of a standing start due to the wet conditions. 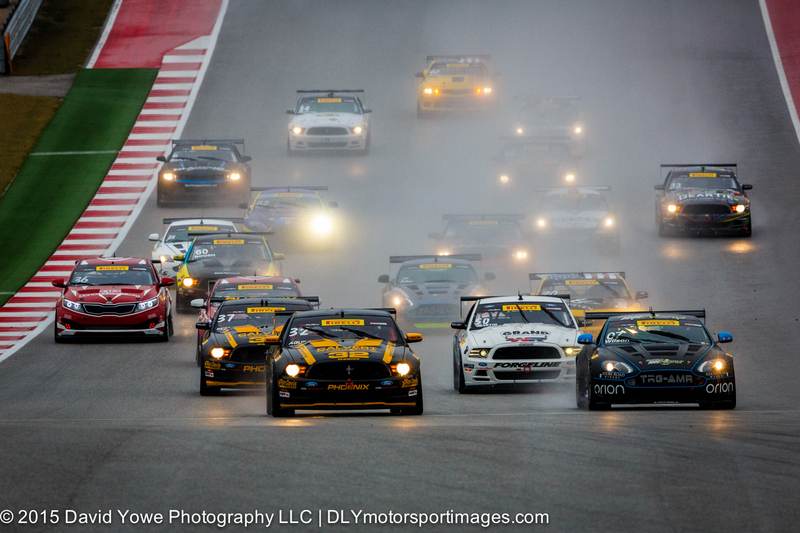 With headlights ablaze, Kris Wilson in the #07 TRG-AMR Aston Martin Vantage GT4 and Andrew Aquilante in the #32 Phoenix American Motorsports Ford Mustang Boss 302 lead the field into Turn 1. Through Turn 1 with “Kia Kia”. 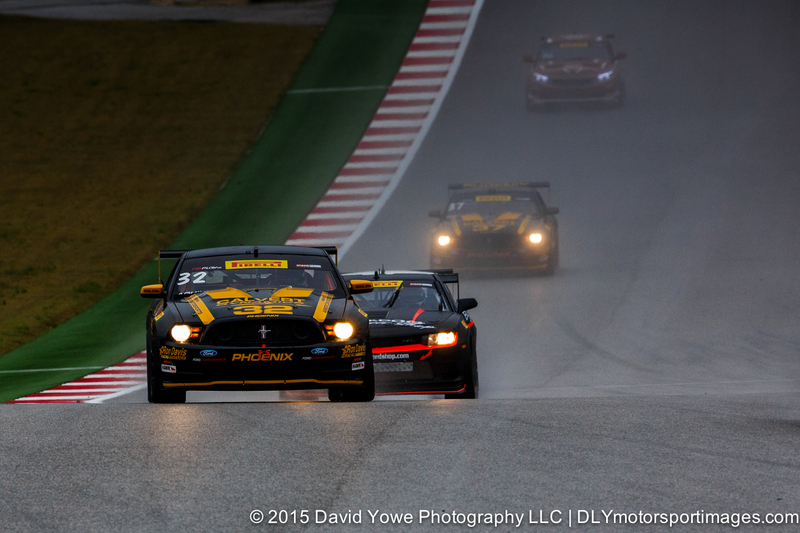 Ben Clucas in the #36 and Mark Wilkins in the #38 Kinetic Motorsports/Kia Racing Kia Optima’s. 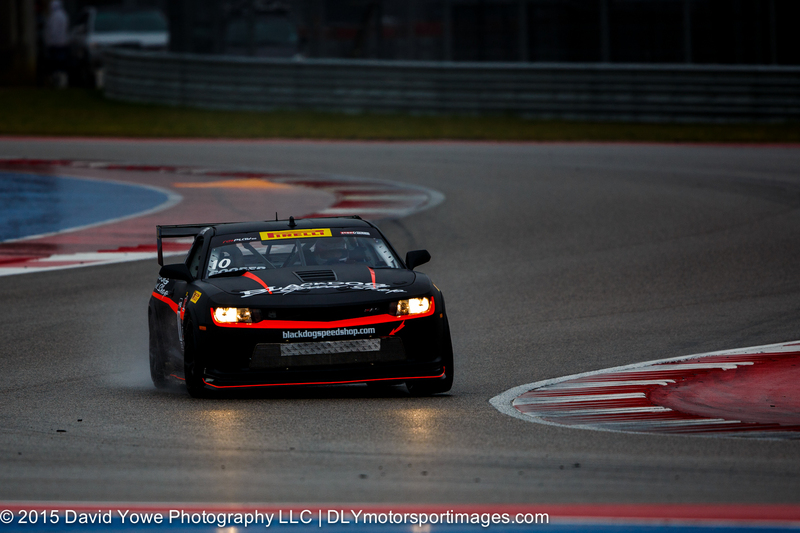 Third place went to Andrew Aquilante in the #32 Phoenix American Motorsports Ford Mustang Boss302. At the Turn 3 Esses with race winner Michael Cooper in the #10 Blackdog Speed Shop Chevrolet Z28. 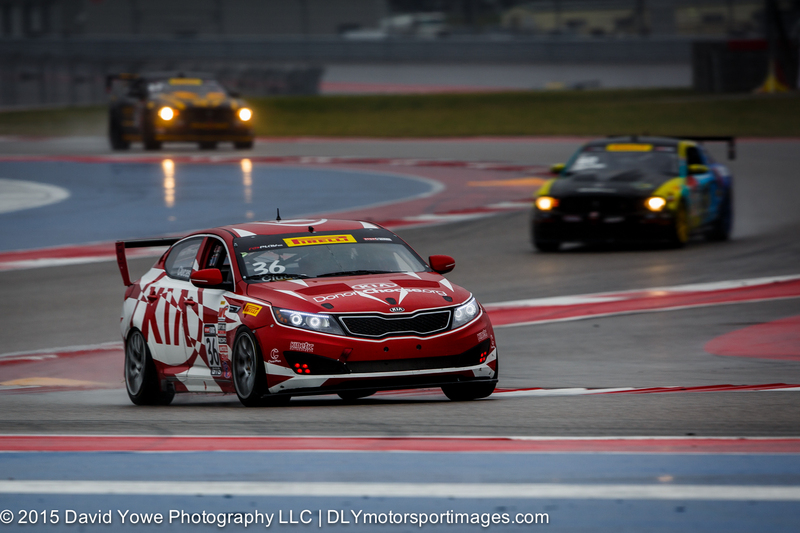 Second place went to Ben Clucas in the #36 Kinetic Motorsports/Kia Racing Kia Optima. 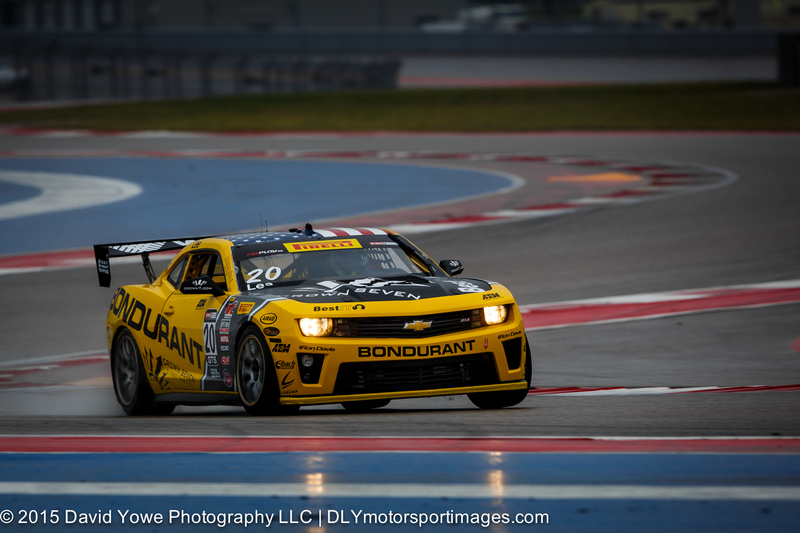 Through the Esses with Andy Lee in the #20 BestIT Racing Chevrolet Camaro. 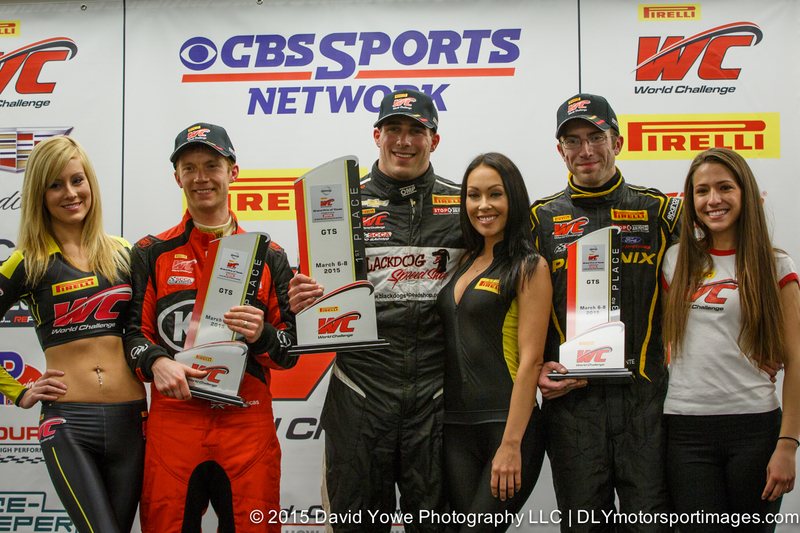 Race podium with Michael Cooper (first, center), Ben Clucas (second, left), and Andrew Aquilante (third, right).